"Dear Miss Searle, very little has ever been written on the subject of dressage and what little text is available requires an interpreter in order arrive at the author's intended meaning. I have never found a book that explains exactly what to do in order to work out a particular movement. Advanced equitation or 'dressage,' as it is called is simple. Unfortunately, writers who have written books on advanced training try to make it appear difficult and very much involved. Such is not the case. There are no training films available at the present time." Liz's accomplishments and contributions are vast and varied. She competed in jumping during the 1940s and eventing in the 1940s and the 1950s. Liz took up dressage in the 1940s, and it became her first passion. She won the National Dressage Championship in the 1960s. In the early 1950s, Liz founded the first Pony Club west of the Mississippi River. She served as the Vice President and National Examiner of the U.S. Pony clubs. In 1956, during a trip to Germany, Liz saw vaulting for the first time. She immediately saw its value and introduced it to the U.S. in her Pony Club for young people who did not own their own horses. It became her second passion. Thanks partly to her efforts, vaulting is now a popular Federation Equestre Internationale (FEI) sport and the U.S. has been very successful in international competition. In 1968, Liz and her business partner, Jeff Moore, founded the American Vaulting Association (AVA). She became its first president, laboring over a mimeograph machine to produce its monthly newsletter. Liz wrote the first book about vaulting in English, and was the first American to judge internationally. In that same year, she established the "Osierlea Quadrille"—a dressage quadrille of 12 riders, which eventually led to the formation of the California Quadrille Association (CQA). In 1981, Liz and Jeff visited Holland to purchase a breeding stallion. They negotiated with the Dutch Warmblood Registry to establish a branch in the Americas. 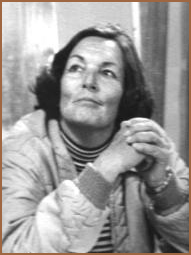 Liz was the main judge of their Keurings, or evaluations, in the U.S. for many years. She was also the first foreigner to judge the stallion selections in Holland. The Royal Warmblood Studbook of the Netherlands in North America (KWPN - NA) is still going strong. 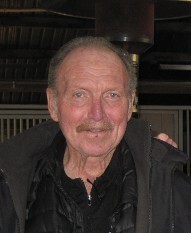 In 1980, Liz and Jeff set the tone and time by establishing the Osierlea Breeders' Futurity, which has developed into the Dressage Sport Horse Breeding competitions. Liz served as Vice President of the USDF and Chairman of the AHSA (now USEF) Dressage Committee. She received the USDF Lifetime Achievement Award, along with many other national and international awards. In the early 1980s, while on a train to Switzerland, Liz and Jeff conceived the concept of the USDF's "L" Education Program. Liz wrote much of the teaching material for up-and-coming judges and served on its faculty. In 1984, Liz met Baron von Blixen-Finecke and arranged for him to give clinics in the U.S. They became close friends and collaborators, which lasted until his death at the age of 90. Jeff is the head trainer, owner and operator of Osierlea. He has ridden seven horses at the Grand Prix level, and was shortlisted for the Olympics. Jeff has trained more than 20 Grand Prix horses ridden by his students, judged at the World Equestrian Games, and, along with Liz Searle, conceived and launched the USDF's "L" Education Program. Jeff is a student of some interesting characters, including Col. Alois Podhajsky, Director of the Spanish Riding School; Col. Waldemar Seunig, a famous author of several seminal works about dressage; Count Herman Wrangel; and Baron Hans von Blixen-Finecke, an Olympic gold medalist, coach, and Commandant of the Swedish Cavalry School at Stromsholm Castle. During those years, a thread of continuity was maintained by his continuing work with his original mentor since his Pony Club days, Elizabeth Searle, with whom he worked. They became business partners in their training and breeding facility, Osierlea, until her death at the age of 94. 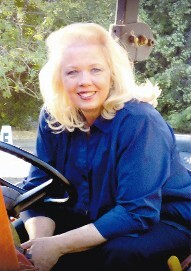 Laurel has been a trainer, instructor, and facilities manager at Osierlea for more than 30 years. She conducts dressage clinics throughout the country, and is a dressage competitor through Grand Prix, as well as a Quadrille competitor through the highest level. Laurel is a USEF "R" Dressage Judge. Her judging includes special training and experience in freestyle, Quadrille, and breed classes. She has extensive experience in the longeing, long reining, halter breaking, loading, training, and handling of stallions. Recognized as a breeder of Dutch Warmblood horses by KWPN for her own breeding program, Laurel has managed Osierlea's Warmblood breeding operation. She has handled seven breeding stallions, 18 brood mares, and more than 60 of their offspring, as well as other stallions and brood mares prior to moving to California to work for Osierlea. She also specializes in biomechanics for women riders, and the behavioral issues that women encounter when handling horses. Laurel's experience includes the handling of dozens of horses imported by Jeff and Osierlea and their associates throughout the 1980s. From airport to quarantine station to destination, she has handled foals through mature stallions. During quarantine, she handled horses that had never been separated from the herd and/or pasture they were foaled in and had not been handled. She was able to get them to cooperate for vets and inspectors and for loading. At the age of nine, Laurel started riding and has competed in open horse shows in many disciplines. She specialized in dressage and was one of the founding members of the Utah Dressage Society (UDS).